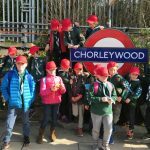 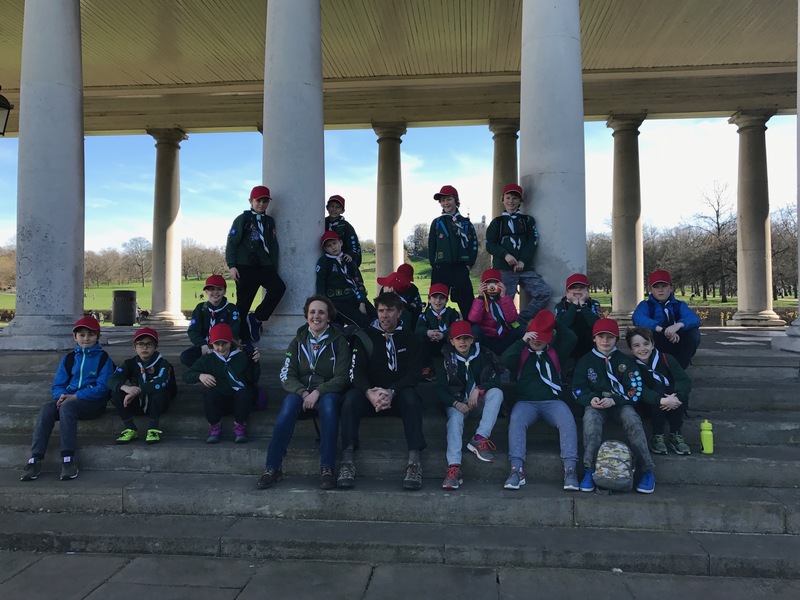 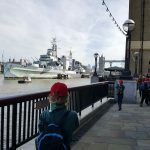 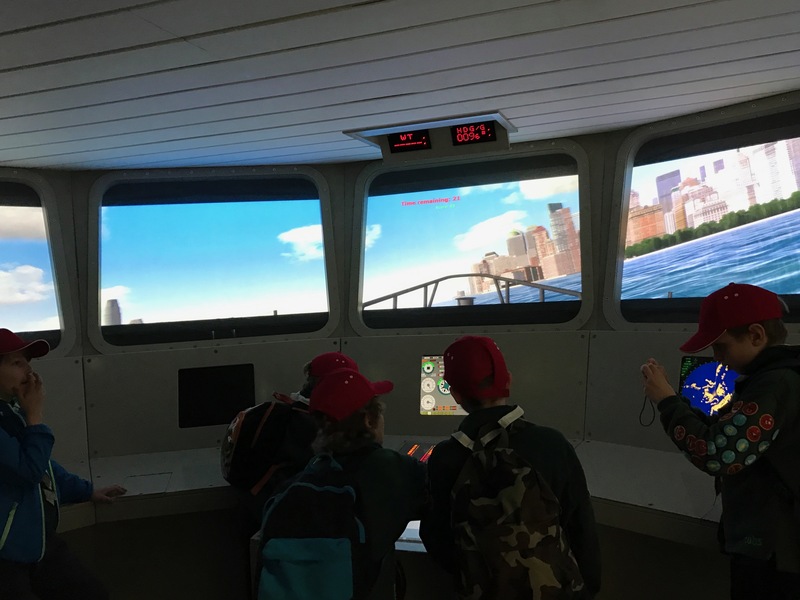 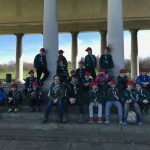 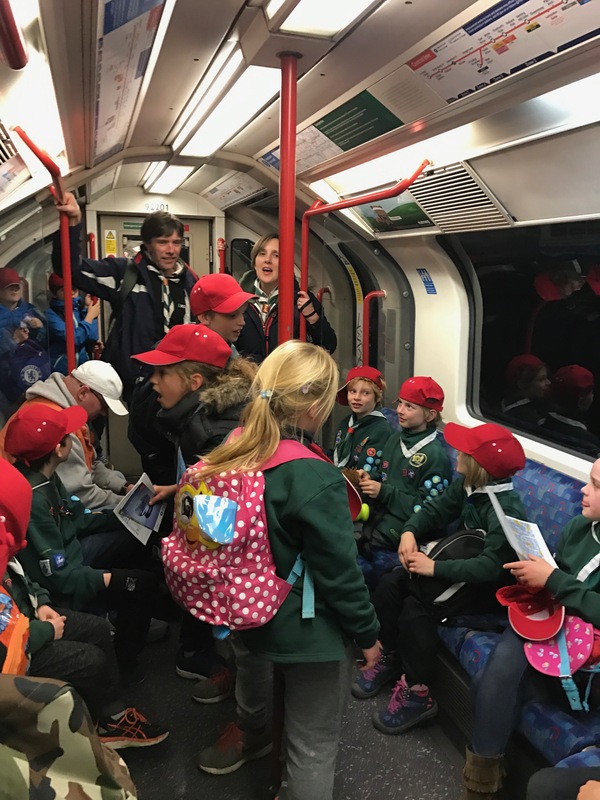 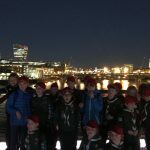 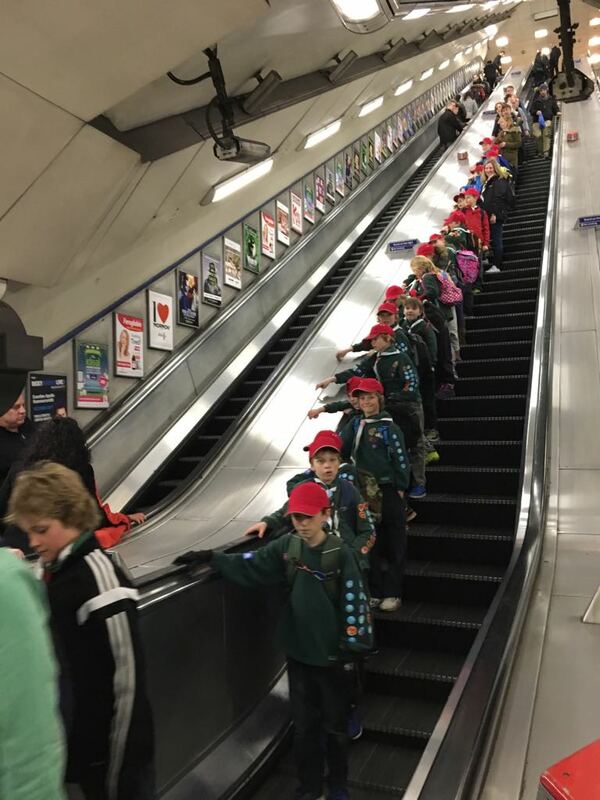 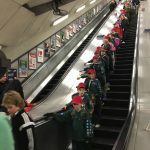 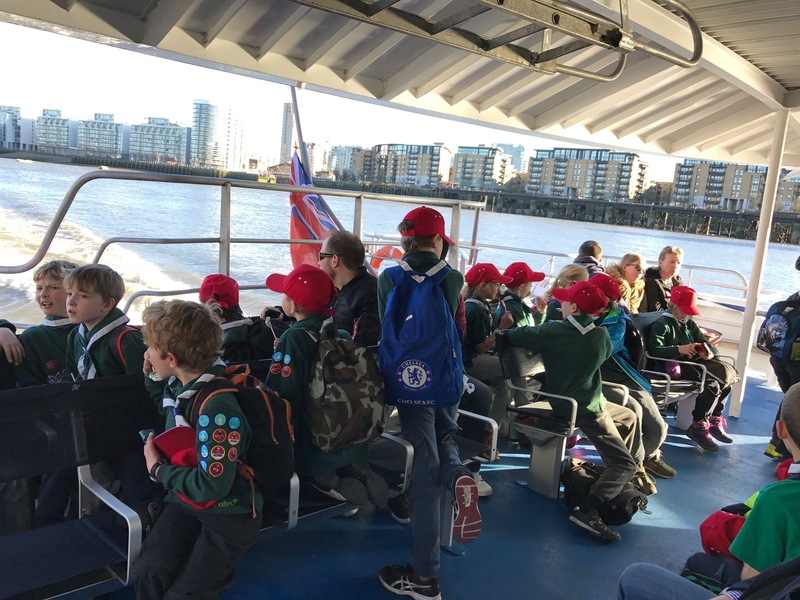 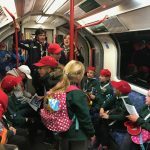 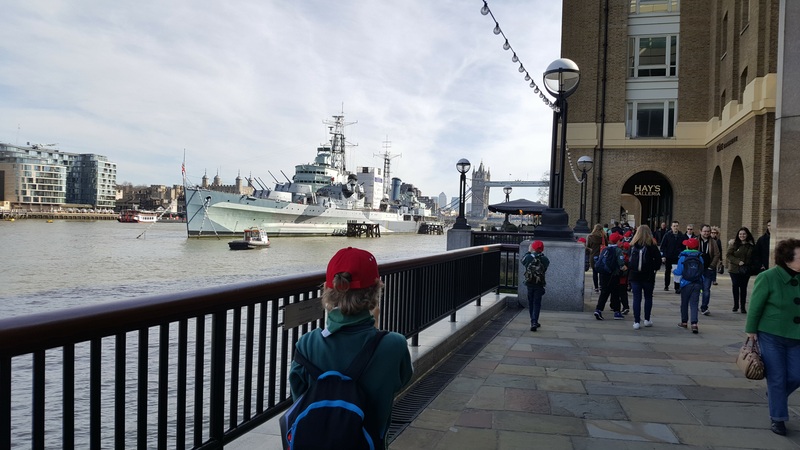 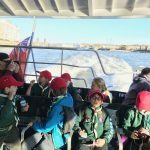 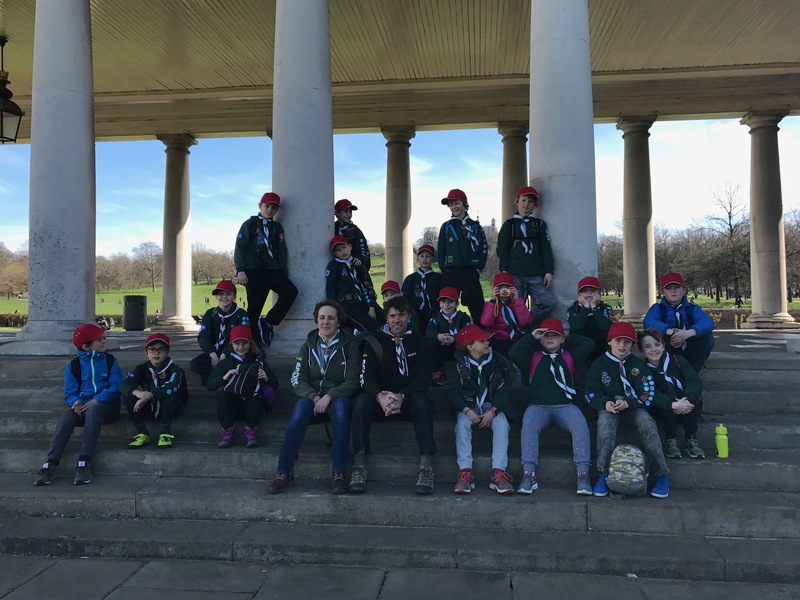 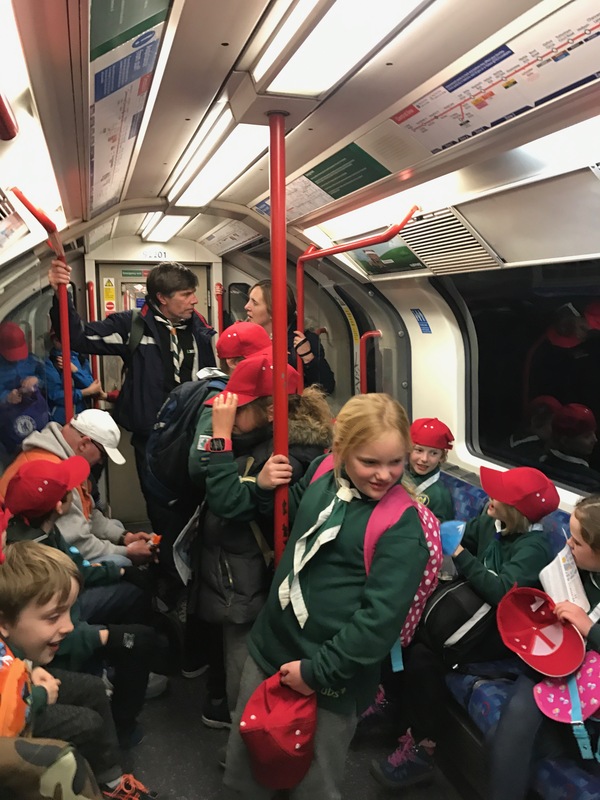 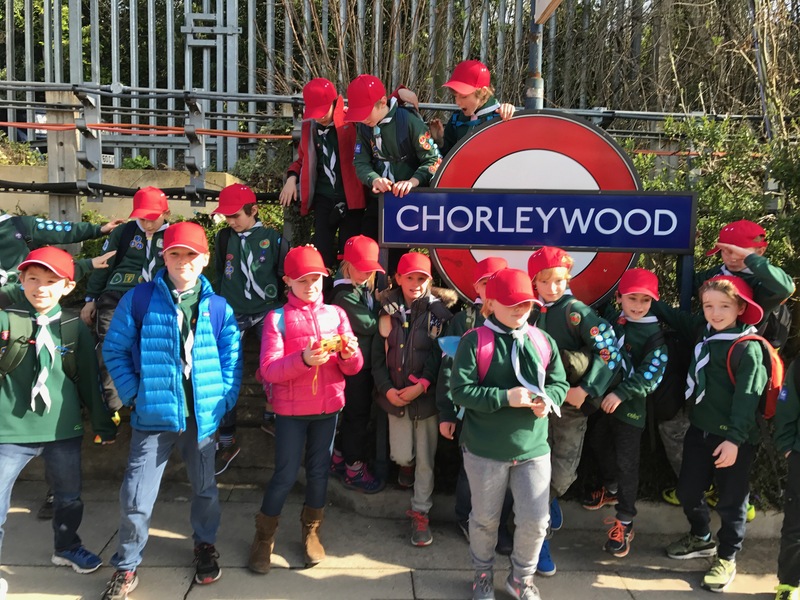 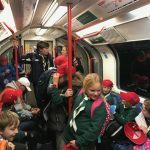 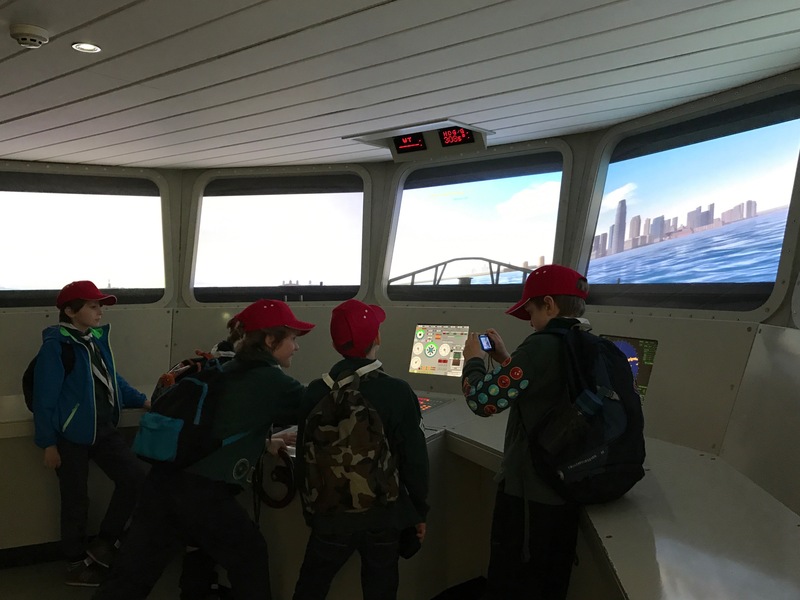 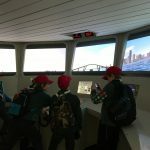 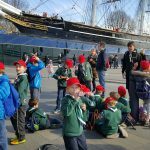 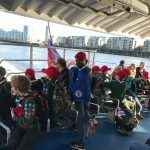 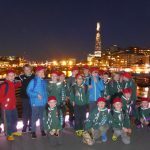 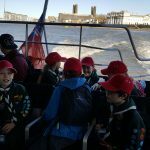 As our trip to HMS Belfast was cancelled at short notice due to an electrical fault on the ship, 20 cubs headed into London for the day anyway! 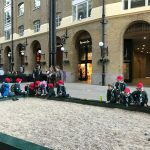 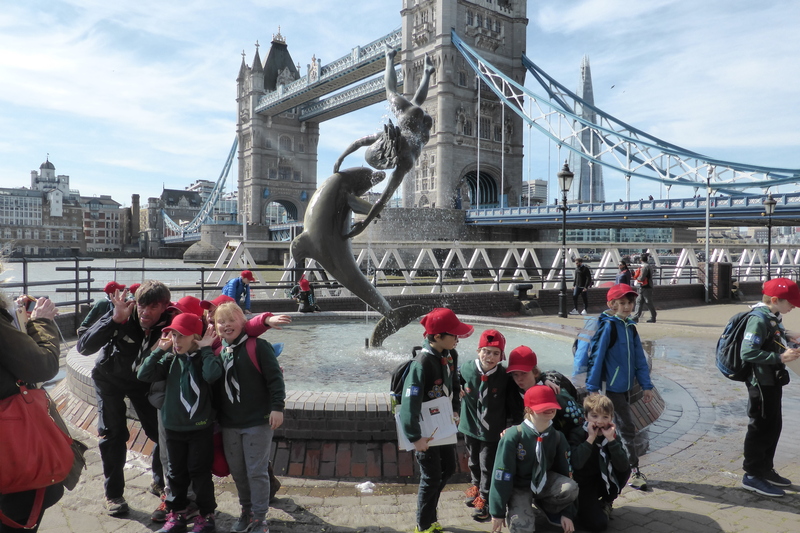 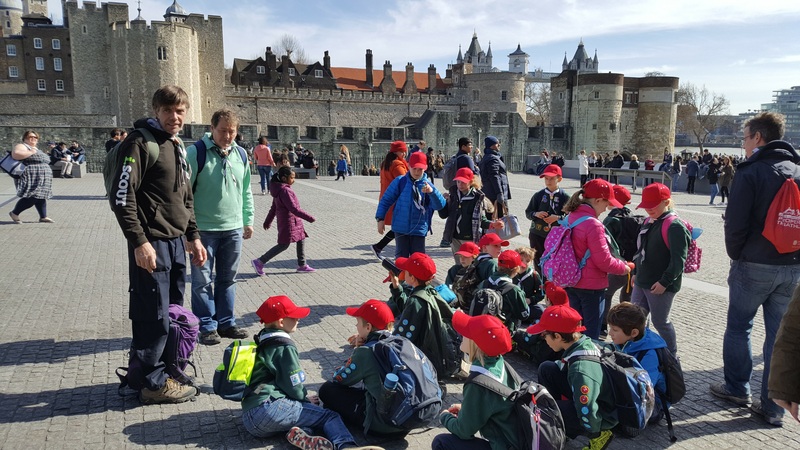 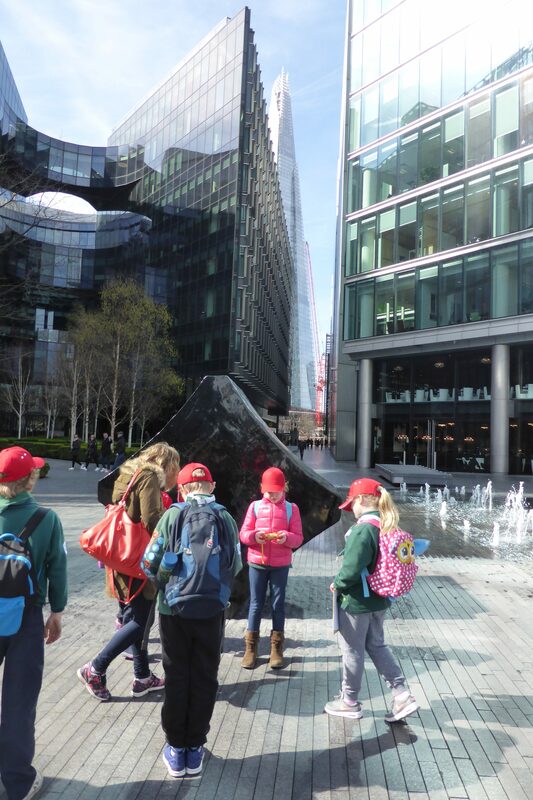 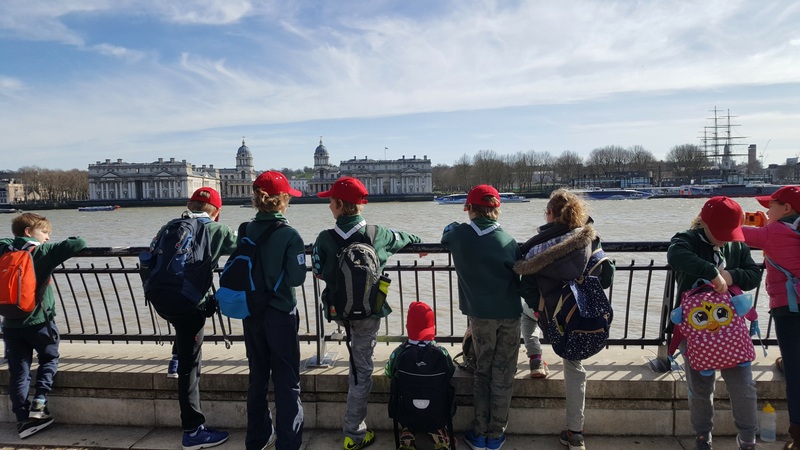 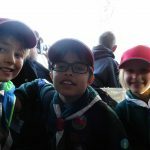 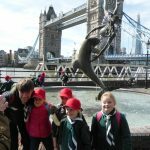 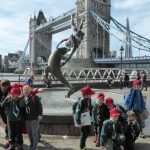 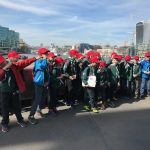 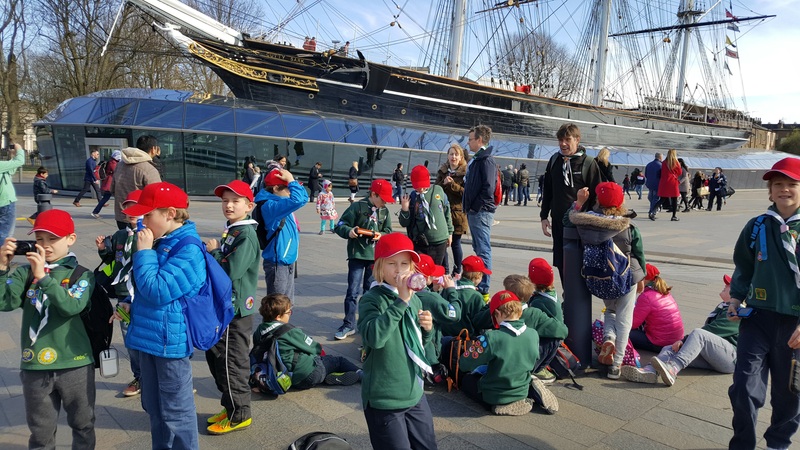 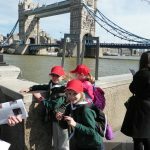 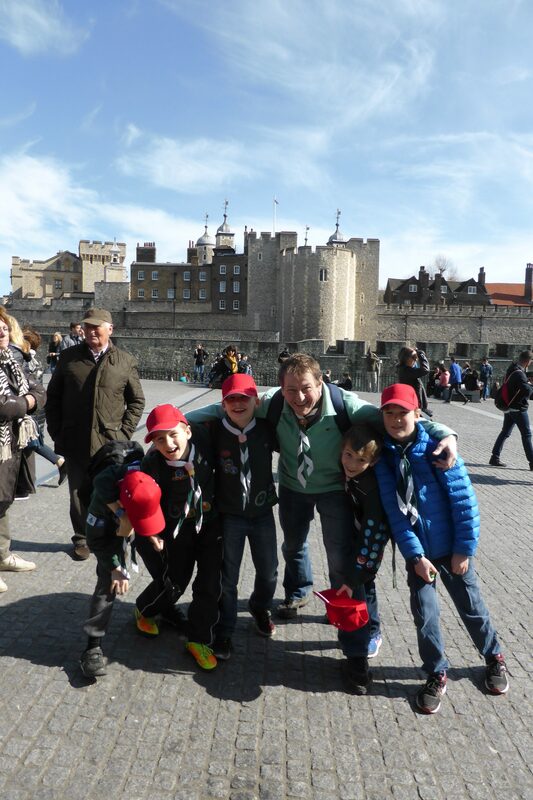 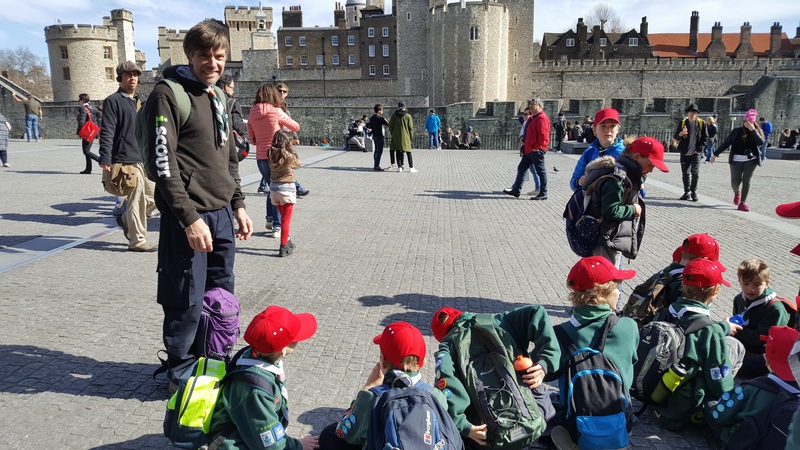 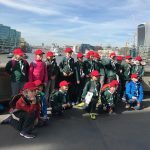 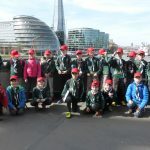 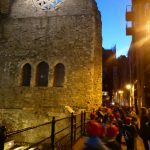 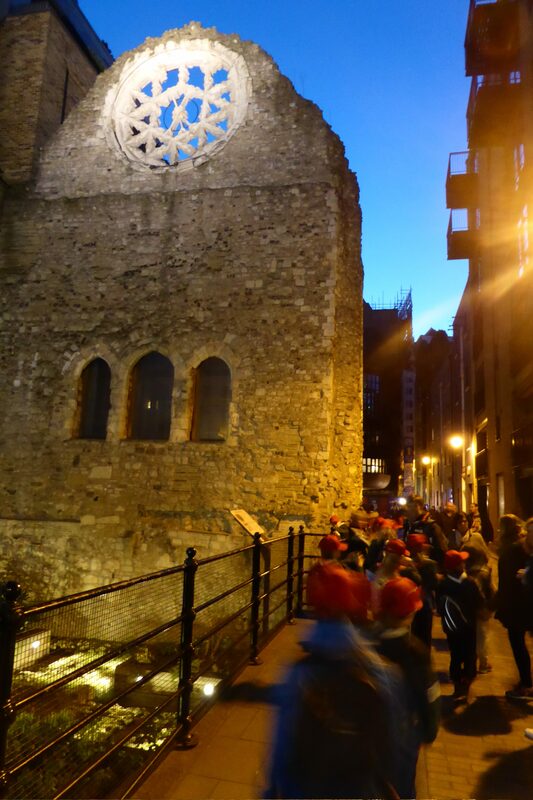 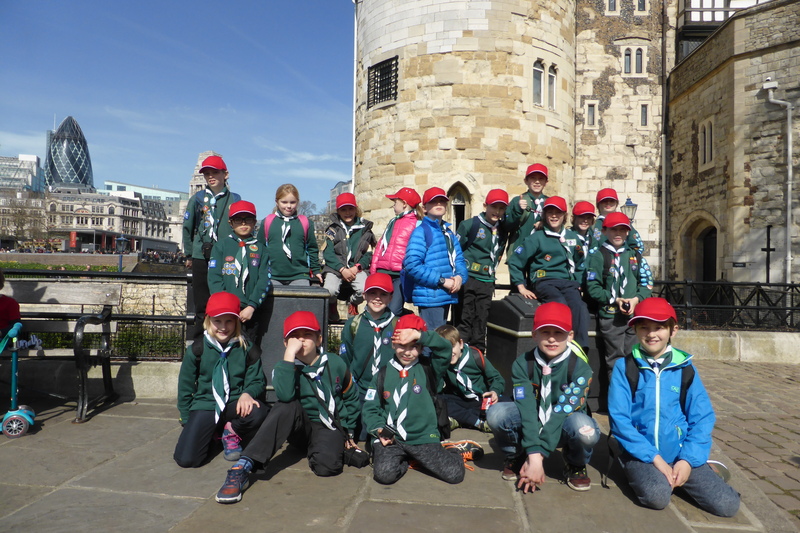 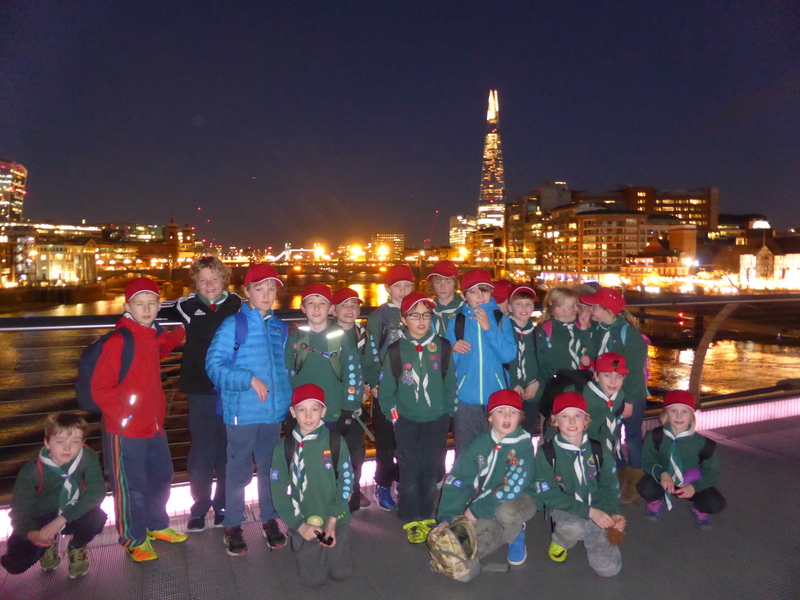 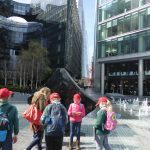 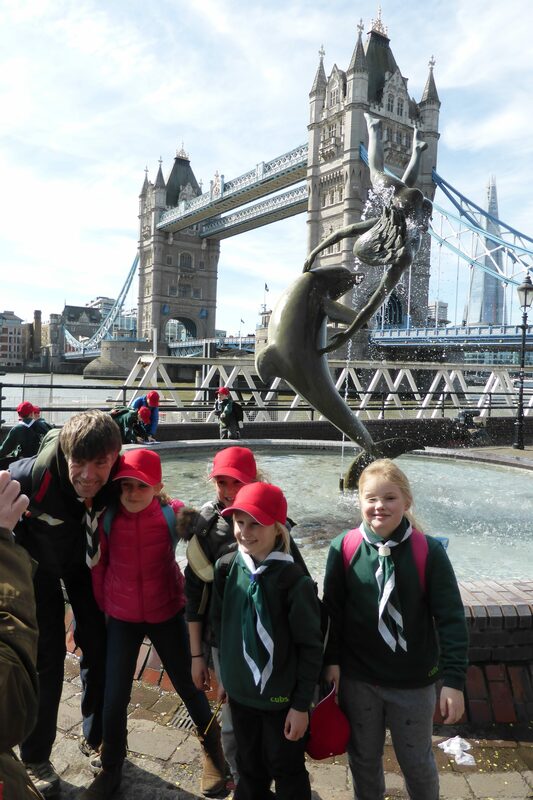 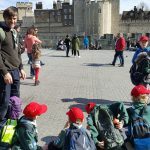 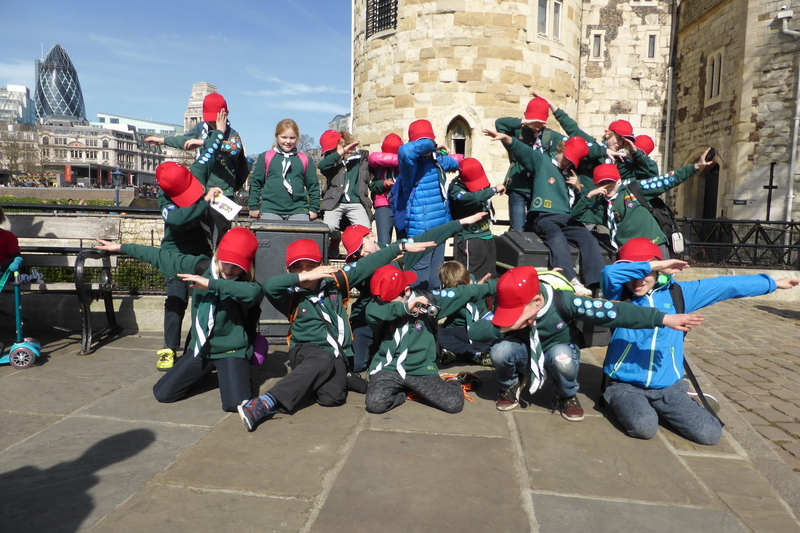 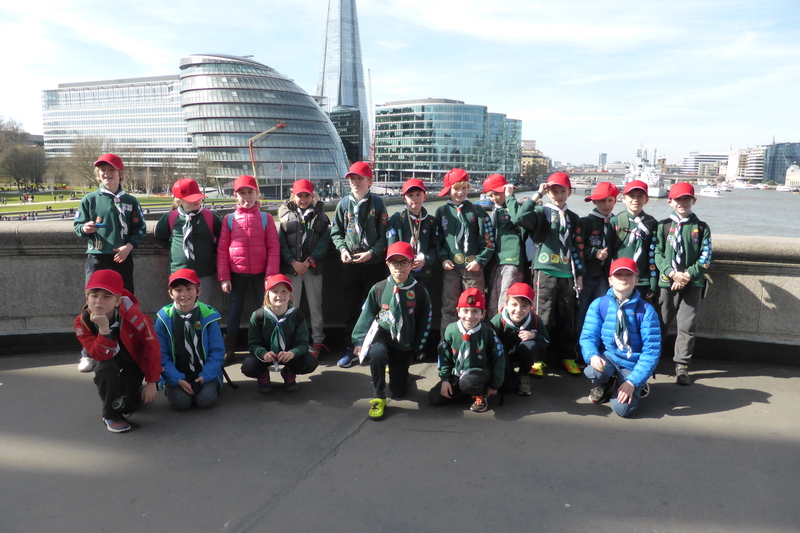 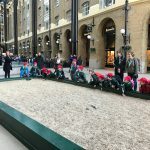 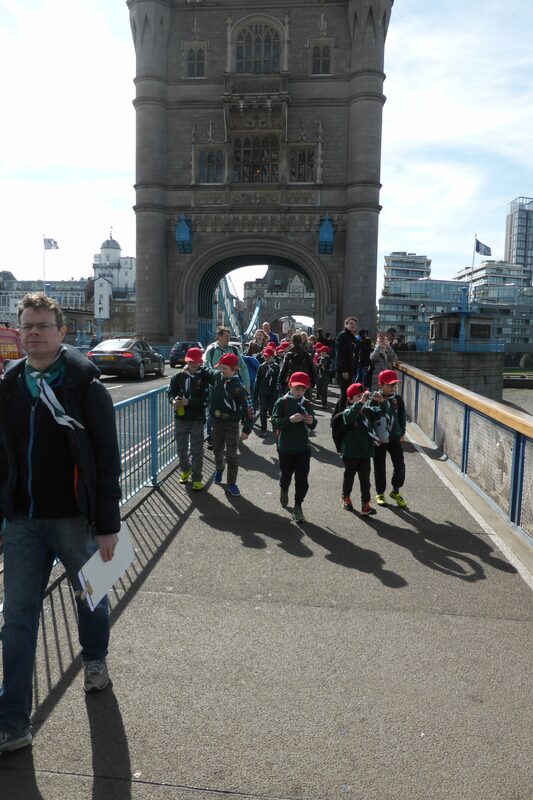 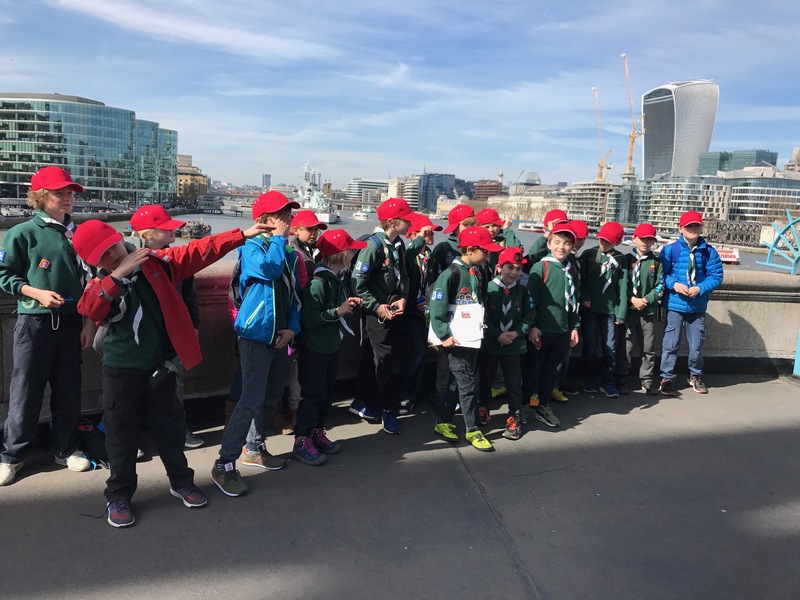 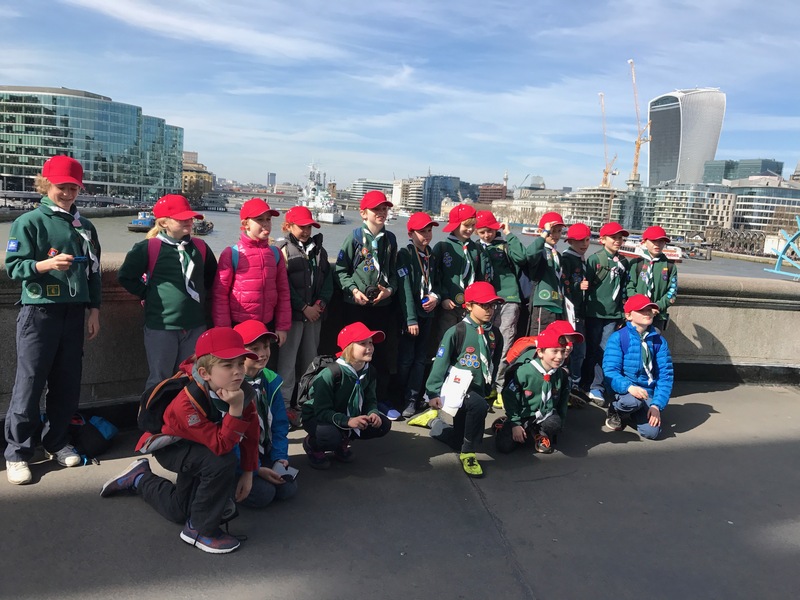 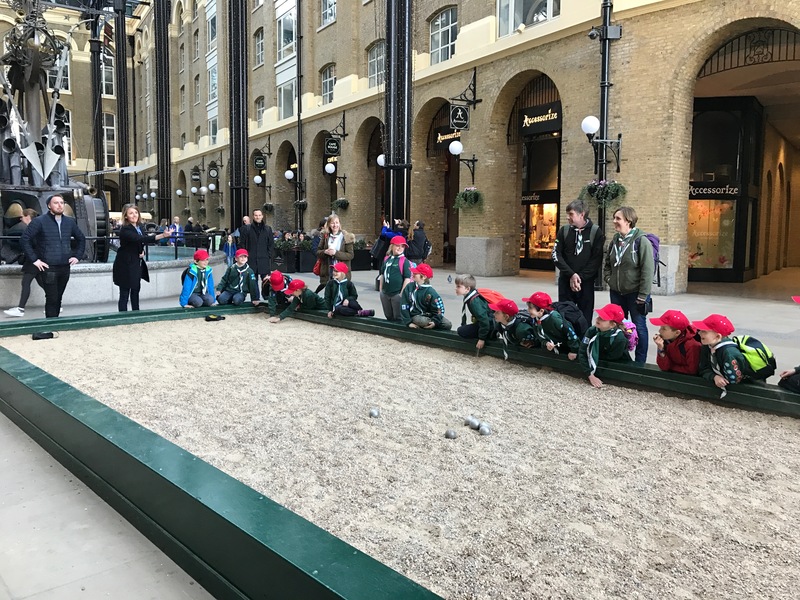 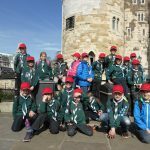 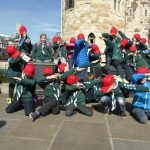 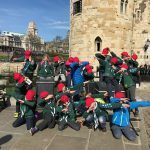 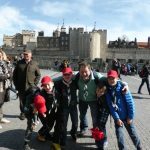 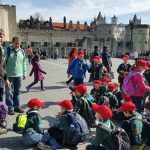 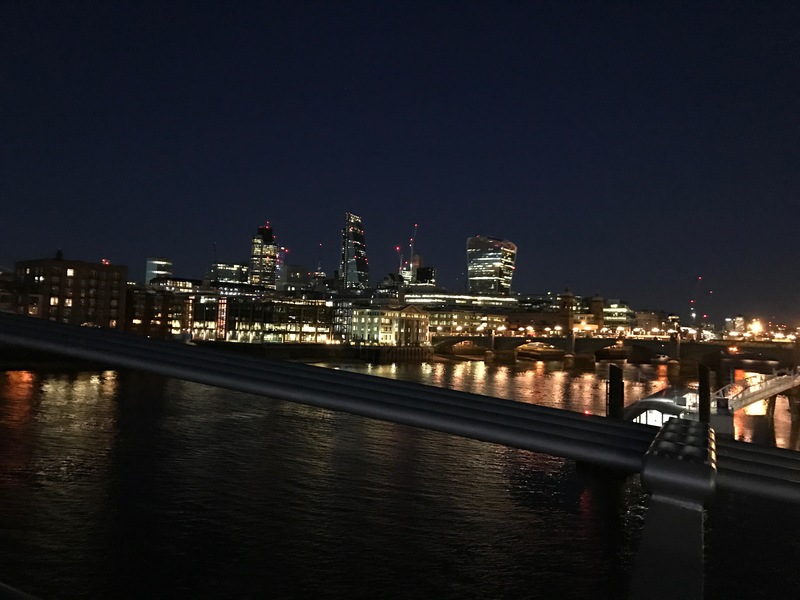 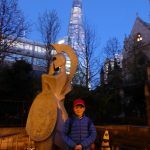 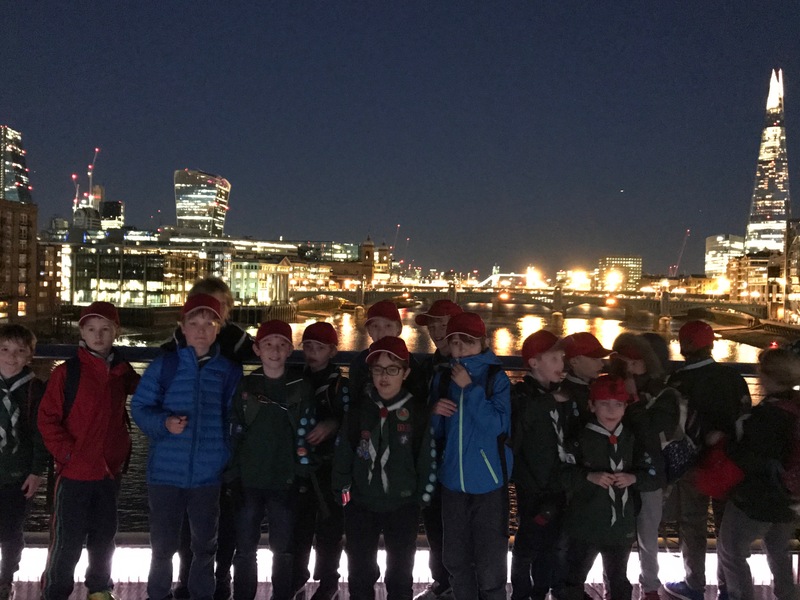 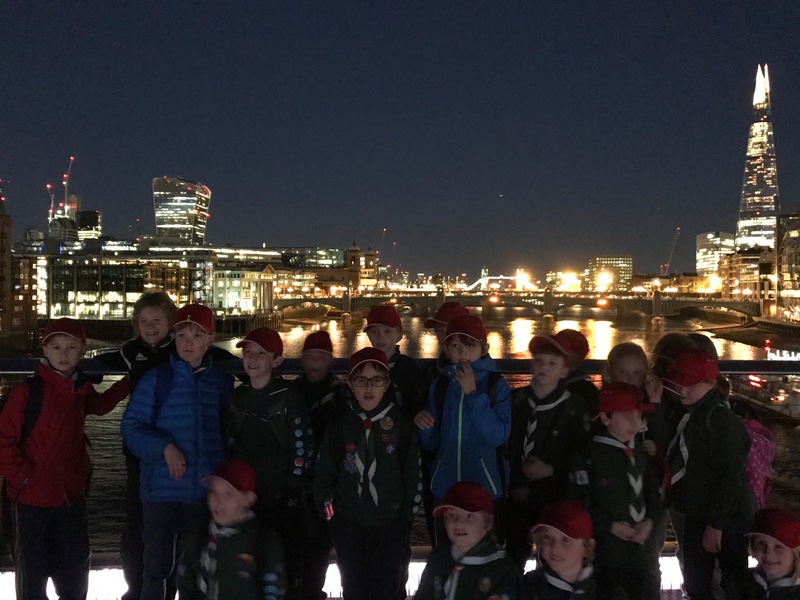 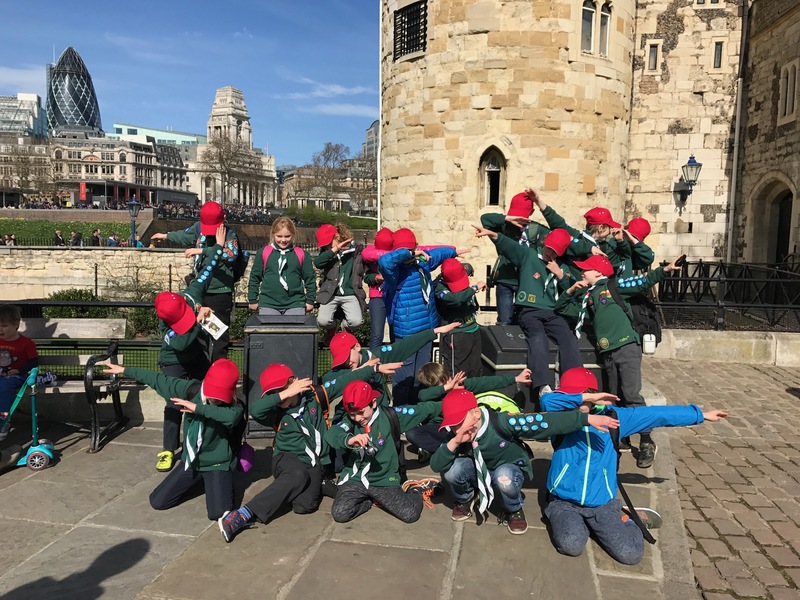 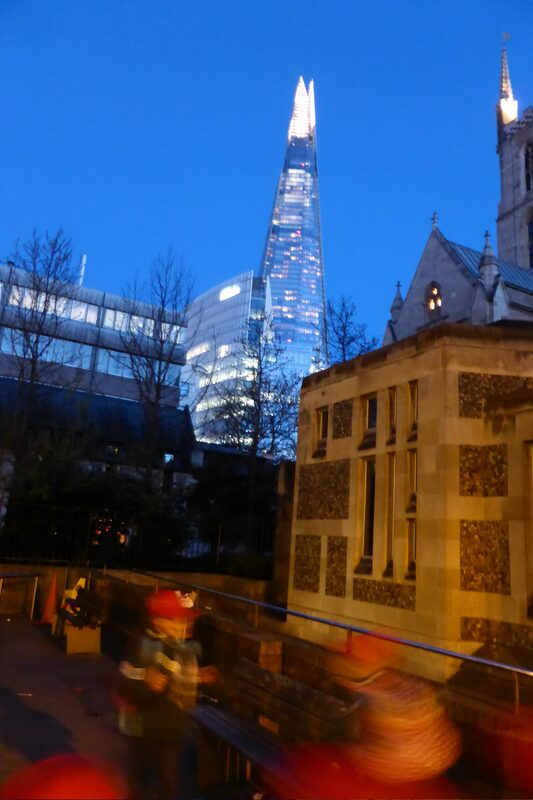 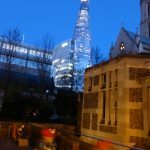 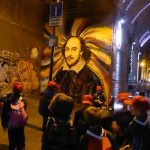 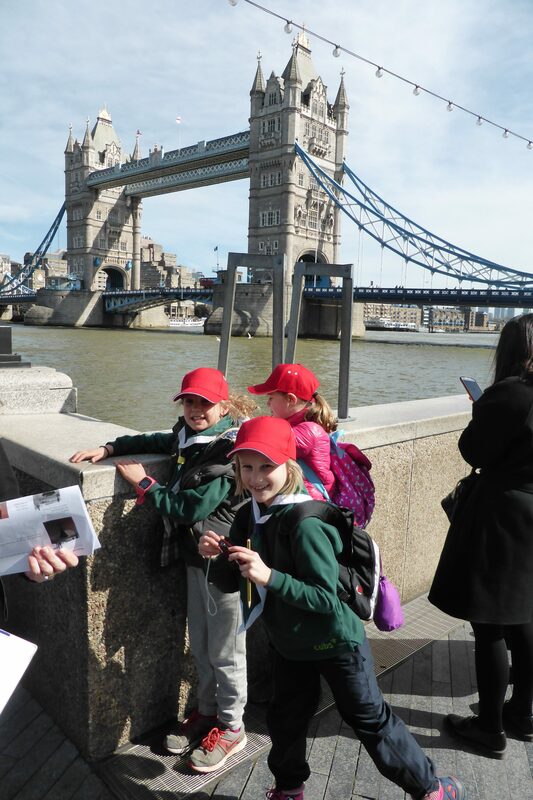 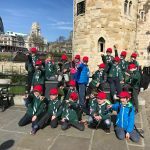 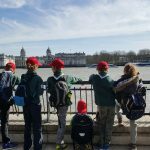 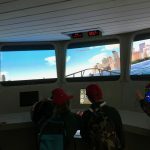 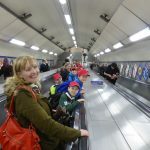 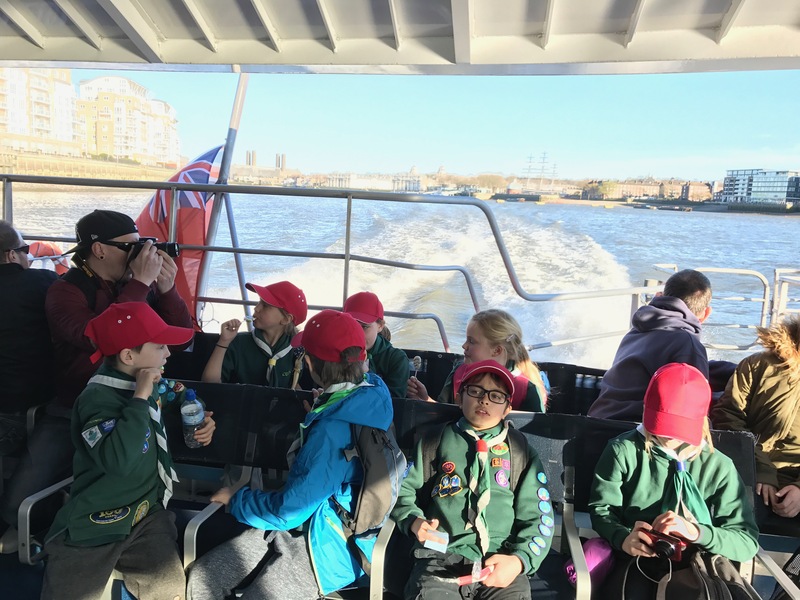 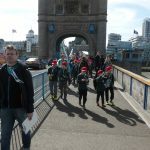 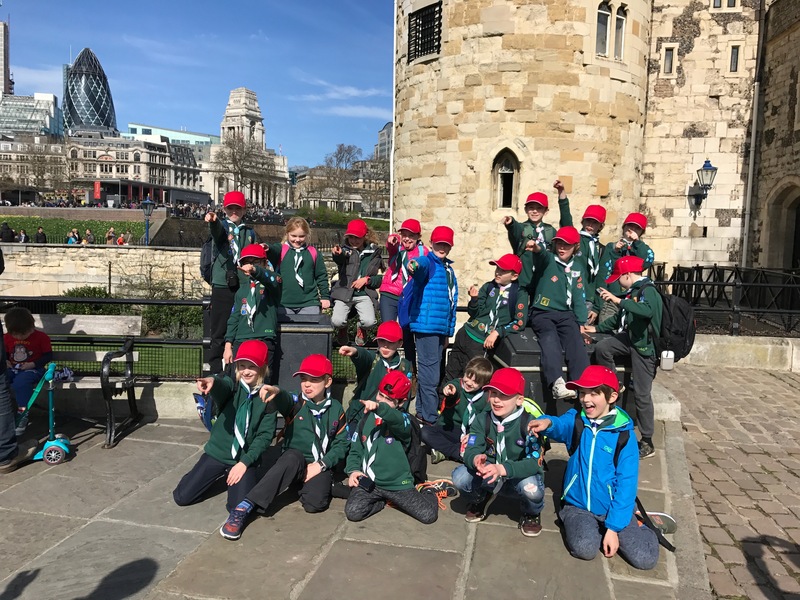 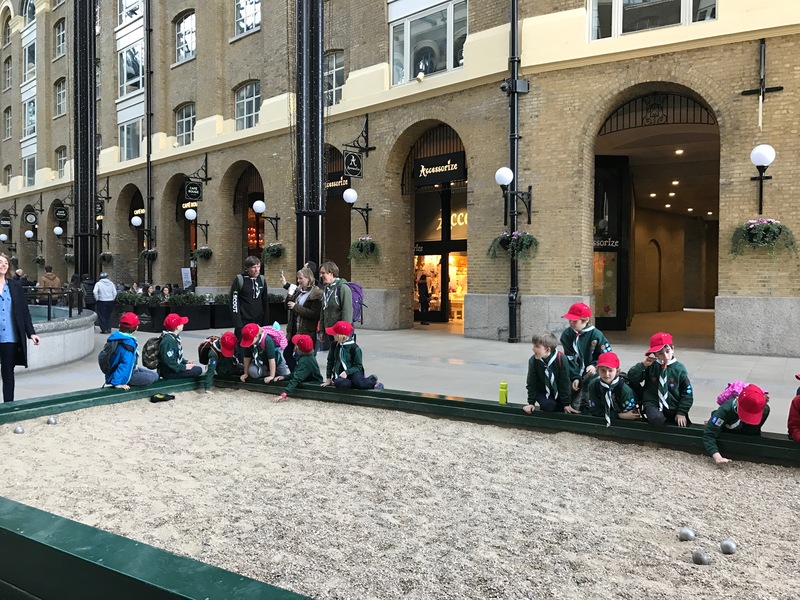 We went from Chorleywood to London Bridge, where we did a photo quiz that led us all across Tower Bridge and around St Katherine’s Docks before having our pack lunches in the sunshine by the Tower of London. 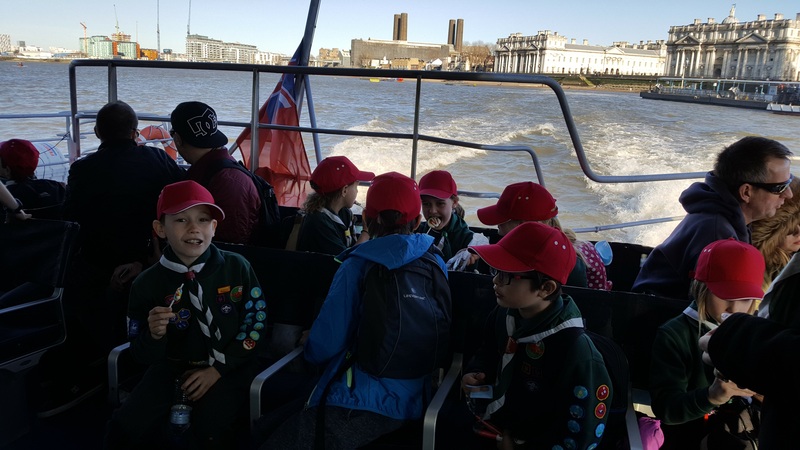 We took the DLR to Island Gardens, and the foot tunnel to Greenwich. 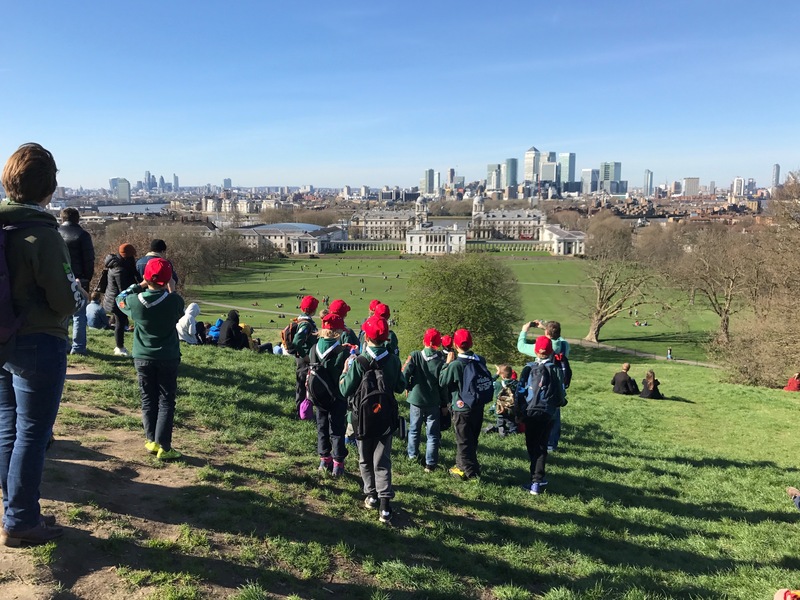 Much fun rolling down the hill, and of course we admired the amazing view and saw the prime meridian line. 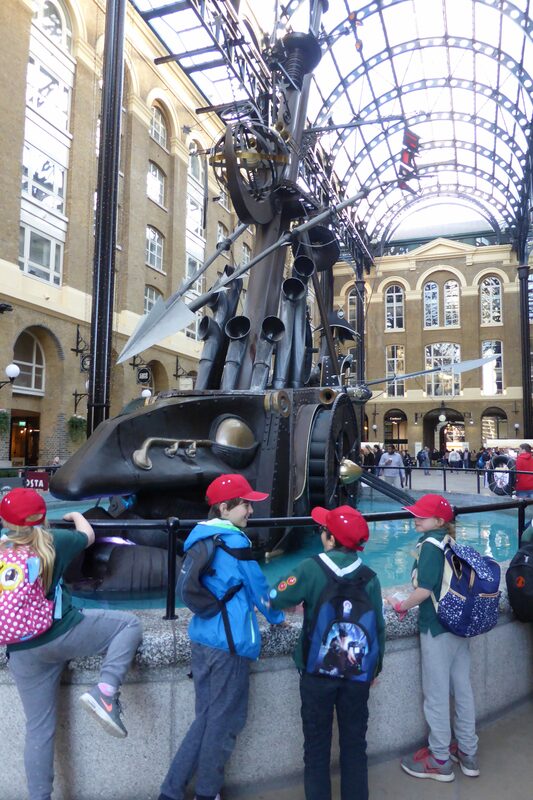 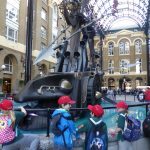 A quick visit to the Maritime museum, then back to London Bridge on the Thames Clipper high speed boat. 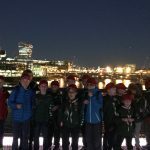 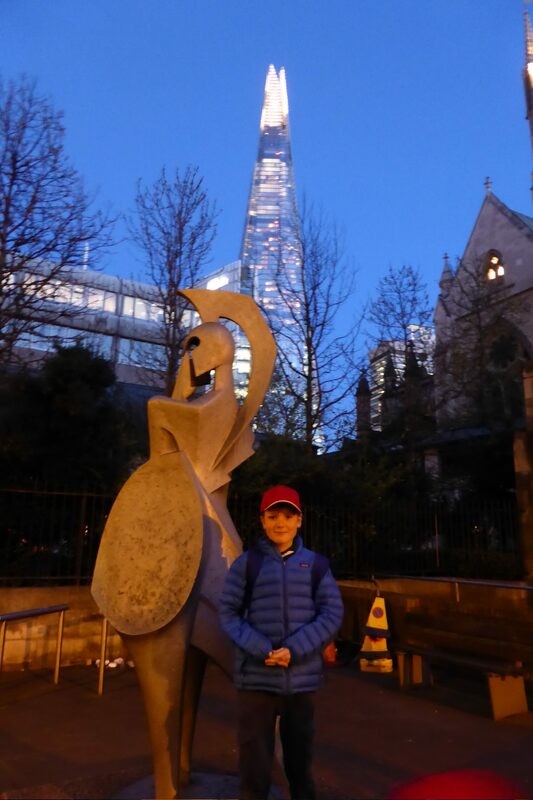 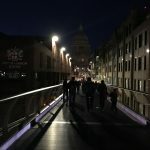 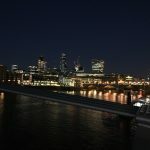 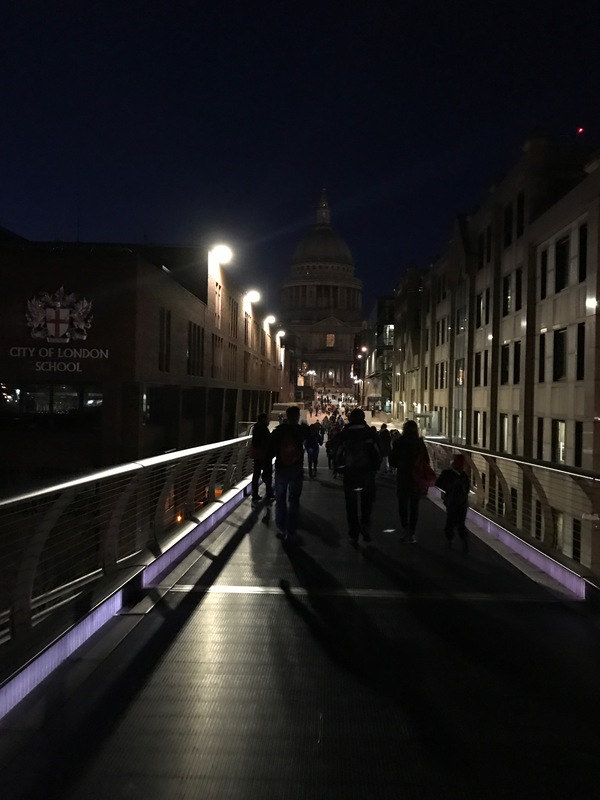 After a walk around the river and Hays Galleria we went for a quiet meal for 26 in Pizza Express, then walked to the Millennium Bridge and St Paul’s before heading home. 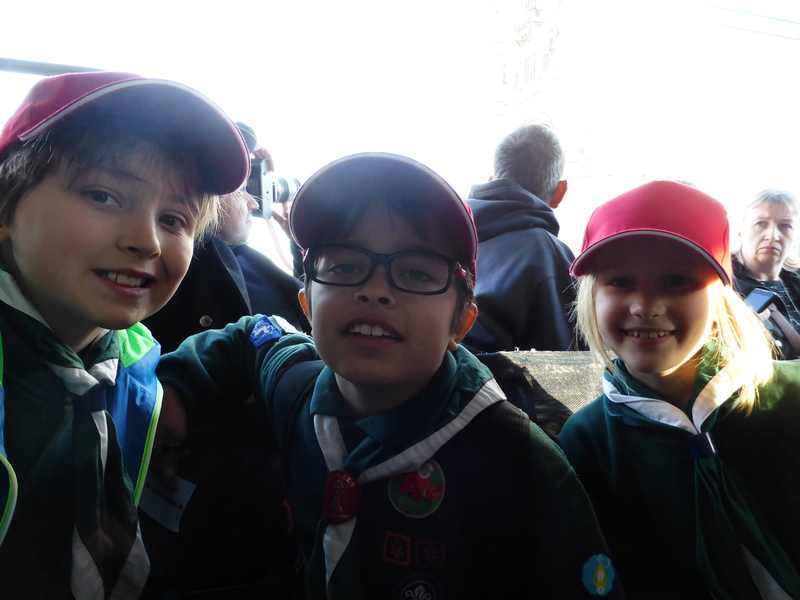 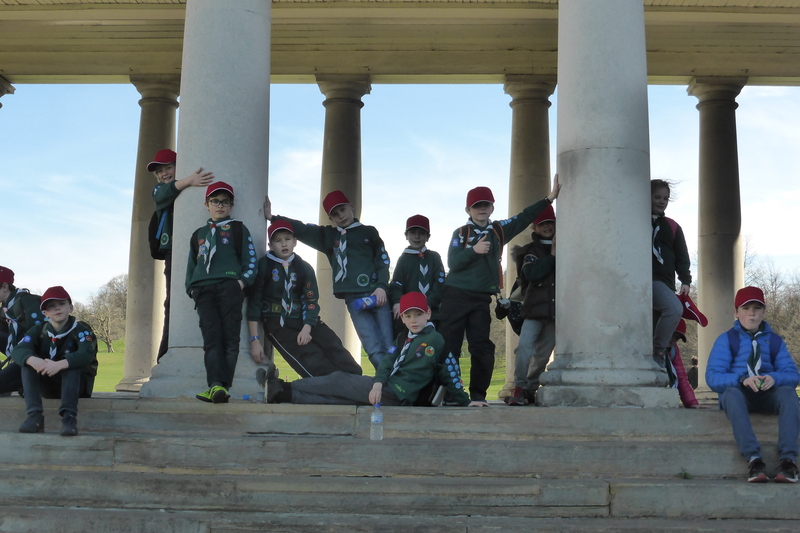 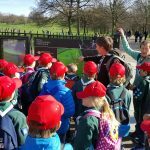 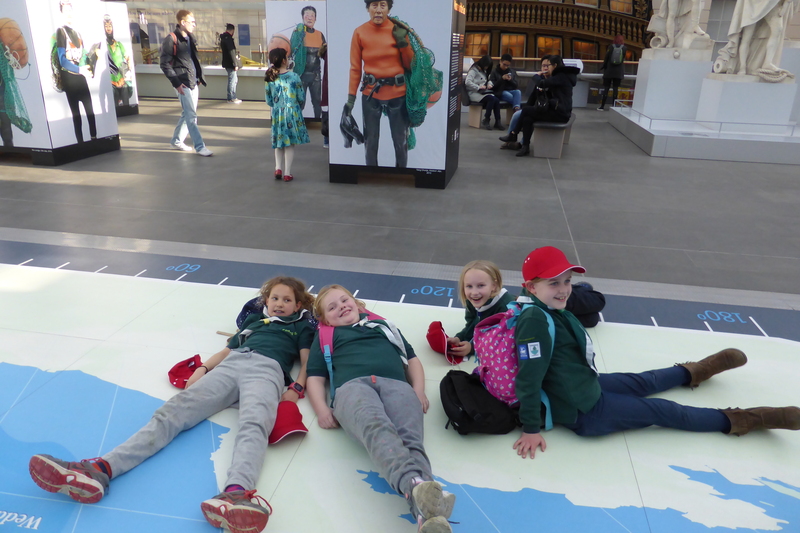 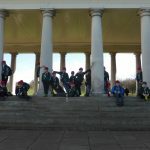 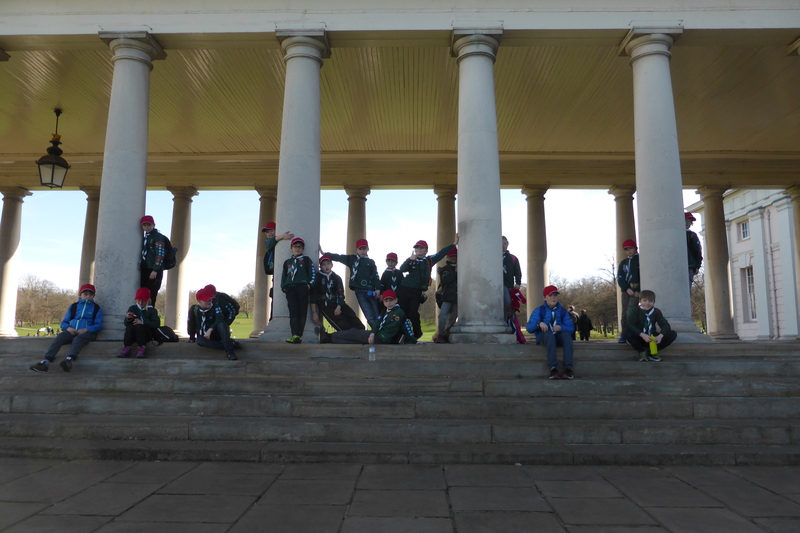 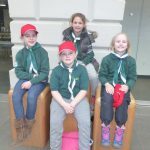 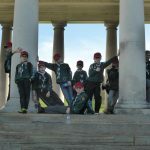 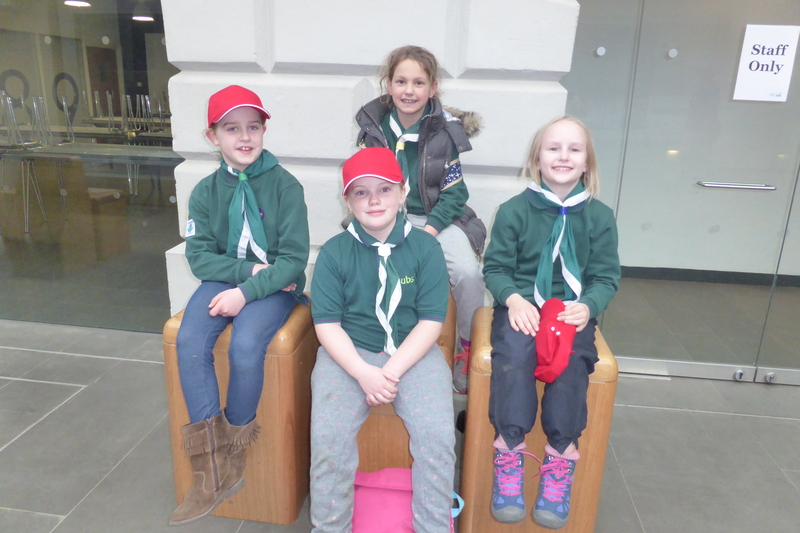 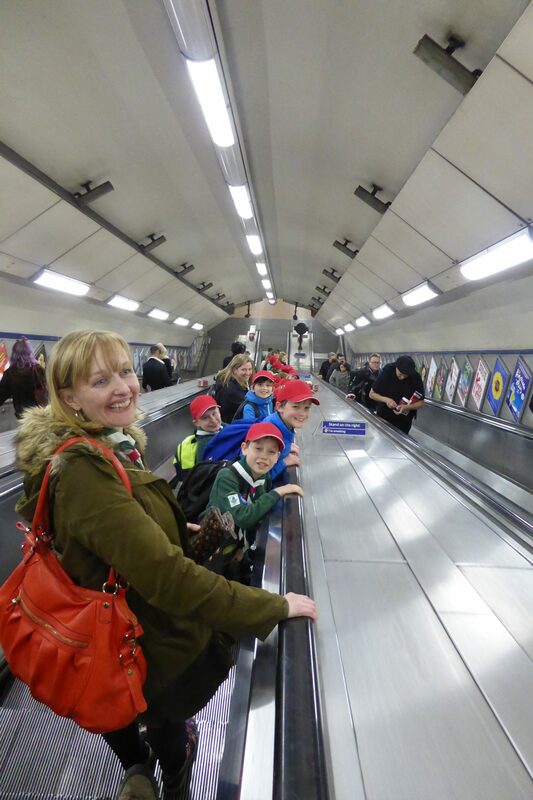 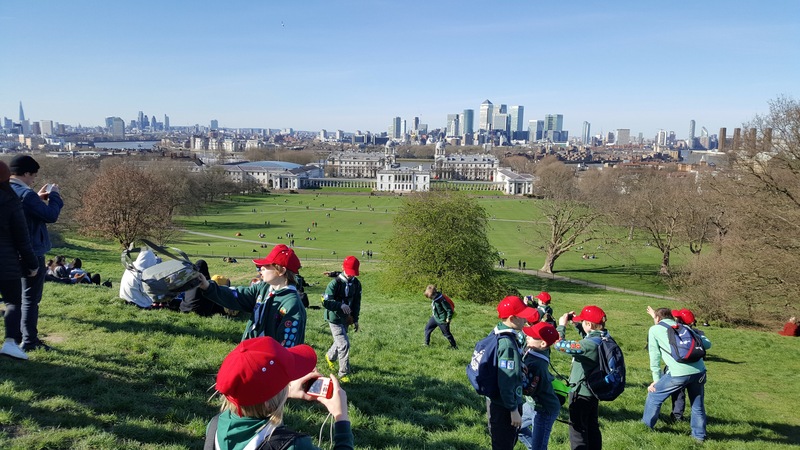 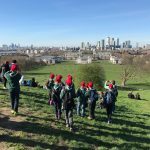 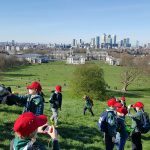 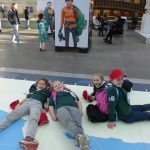 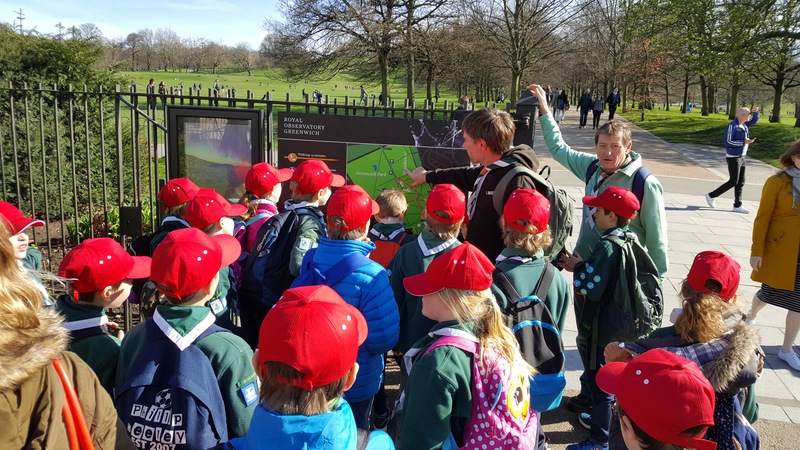 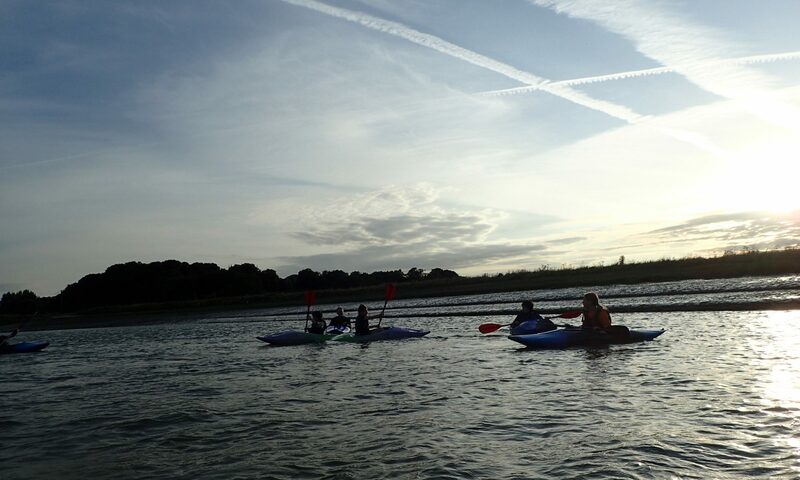 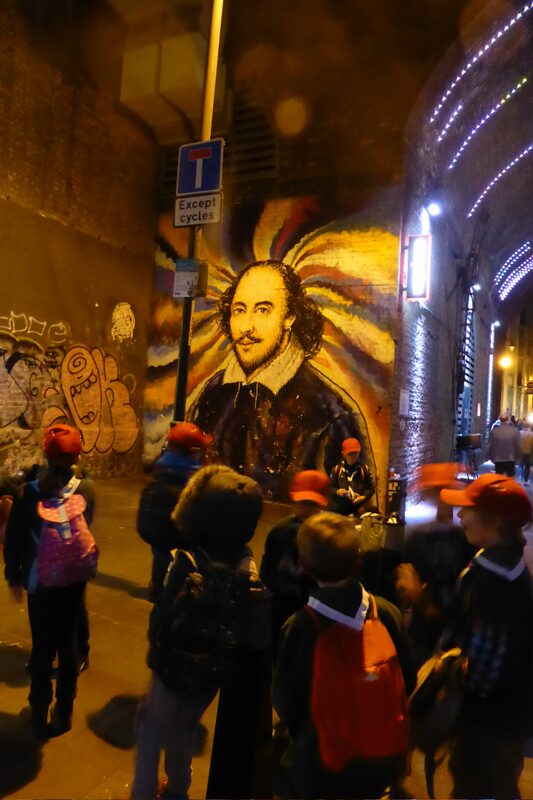 The cubs walked over 8 miles in the day, and were amazingly well behaved.